Note: This page only includes a preview of the story. 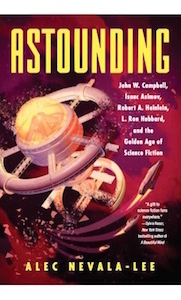 For the full version, please pick up a copy of The Year’s Best Science Fiction, Volume 29, edited by Gardner Dozois. An audio version narrated by Josh Roseman is also available for free on StarShipSofa. At the mention of his notebook, Trip glanced automatically at the desk, where he had left his papers before going to bed. It did not look as if Ray had tried to read his notes, but even if he had, he would have found nothing objectionable. Trip’s private notebook, in which he recorded his real thoughts about the yacht’s voyage, was safely tucked into the waistband of his pajamas. Trip slid on a pair of deck shoes and slung a camera around his neck. As he followed Ray to the salon, he became aware of a murmur beneath his feet, the barely perceptible vibration of the yacht’s engine, trembling in counterpoint to the waves outside. Upstairs, the lights in the salon had been turned down. As they headed for the companionway, Trip saw Stavros, the yacht’s captain and first engineer, seated at the internal steering station, his broad face underlit by the glowing console. On the deck of the Lancet, the night was cold and windless. Two men in matching parkas were standing in the cockpit, looking into the void of the North Atlantic. One was Ellis Harvey, the yacht’s marine biologist, a headlamp illuminating his weathered, intelligent features; the other was Gary Baker, a postdoctoral student in microbiology, his pale face framed by glasses and a tidy goatee. Trip turned to look. For a long moment, he saw nothing but the ocean, visible only where it gave back the yacht’s rippling lights. Then, as his eyes adjusted, he noticed a brighter area of water. At first, he thought it was an optical illusion, an effort by his brain to insert something of visual interest into an otherwise featureless expanse. It was only the hard line of the stempost, silhouetted against the glow, that finally told him that it was real. Originally published in the November 2011 issue of Analog Science Fiction and Fact. Reprinted with permission. For the story of how I came to write “The Boneless One,” please see here and here.